The Reserve Bank has made it clear inflation in India continues to be sticky. But it’s also saying there are threats to growth. RBI’s macroeconomic report for the quarter came out a day before its crucial monetary policy review. RBI said baseline inflation remained broadly unchanged despite the monetary tightening. It also conceded that the tightening had contributed to a slowdown in investment demand. But it also cited other factors like global economic uncertainty. 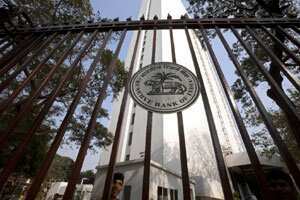 RBI concluded the pipeline of investment was shrinking make future growth prospects dimmer. And finally, Indian markets were on the rebound on Monday, with investors getting more optimistic about the Euro zone crisis. The Sensex jumped 154 points to 16,939. And the Nifty climbed 48 to 5,098.